Large businesses have social media and marketing staff and budgets for their marketing. Small businesses often have no one, and have a website that was created years ago. Small businesses often are in competition with franchises and other large corporates with access to high quality images and graphic designers. As a result small businesses tend to rely on their own amateur photos or bland boring stock photography. 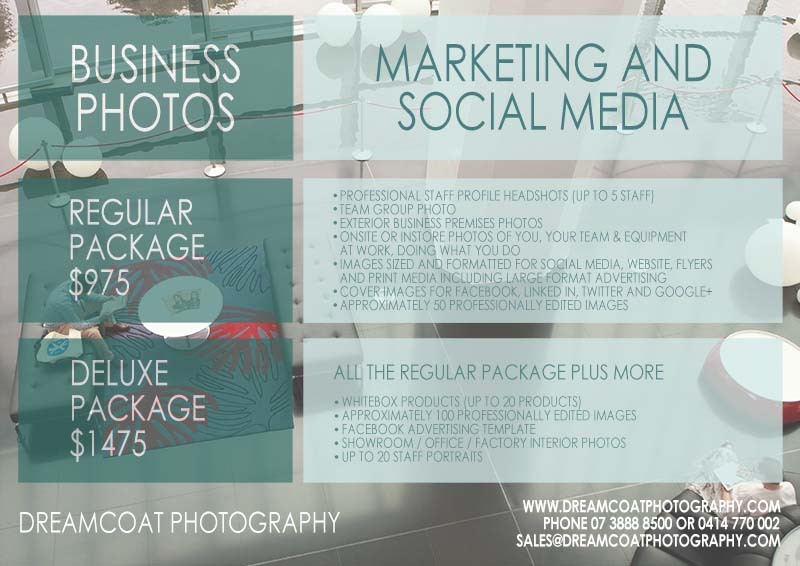 Dreamcoat Photography has designed some corporate photography packages specifically for small businesses so they can get a large amount of high quality business photos for web, social media and marketing. Of course we can adapt and tailor each package to your specific circumstances. Contact us to day to discuss your needs.